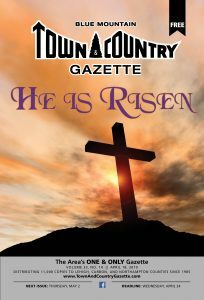 The Blue Mountain Town & Country Gazette is published twice a month. We print and distribute over 11,000 copies to the locations listed below. For a printable list, click here. To request to become a new distribution location, please fill out the form below. All locations must be approved by the publisher. 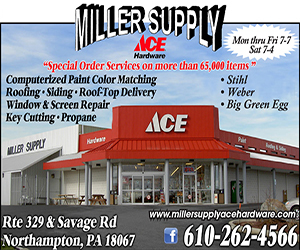 The distribution area includes Lehigh Township (Berlinsville, Cherryville, Danielsville, Pennsville, Treichlers), Northampton, Coplay, Laurys Station, Slatington, Walnutport, Palmerton, Klecknersville, Neffs, Schnecksville, and many others. East Penn Bank Slat. & Walnut.